ACTIVETRAVEL ASIA (ATA) is offering Great Summer Promotion 2010 in Vietnam and Cambodia. These promotions are guaranteed by luxurious adventure tours, add-on values and reasonable prices. 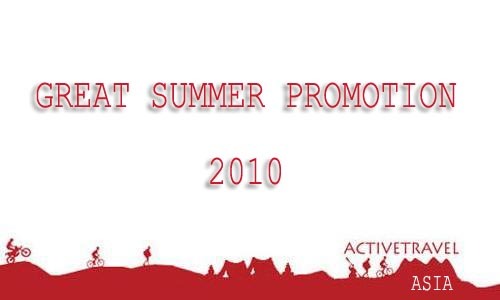 ATA kicks off Special Summer Promotion 2010 covering all kinds of adventure tours include trekking, biking, motorcycling, kayaking and family adventure in Vietnam and Cambodia. There are eight tours in Vietnam (www.activetravelvietnam.com), eleven ones in Cambodia (www.activetravelcambodia.com) and three others combining between Vietnam and Cambodia. Each tour is provided with unique and special value-added services. In this promotion, the offers are different from each area in Vietnam and Cambodia. In the Northern Vietnam, travelers are learned how to cook local dishes at the homestay or at Hidden Hanoi Restaurant. If travelers decide to visit to Central Vietnam, a free half-day guided tour to Imperial Citadel in Hue city or a body massage in Hoi An is added on the trips. In the Southern Vietnam, when the group is up to 5 persons, travelers get a free of charge half-day tour guided in Saigon. In Cambodia, travelers receive free Visa-on-arrival arrangement when they book any package tour. The promotion provides travelers the real experiences in hidden Indochina with add-on valued services. This big hit suits for all types of group and who love any kind of adventure activities. Sea kayaking Halong Bay is a highlight in this promotion. The calm sea provides an ideal location for sea kayaking as paddling through a maze of islets amid dramatic natural scenery recognized by UNESCO. Besides, Trekking Tours of ATA lead travelers to outstanding natural beauty and interesting glimpse of Vietnamese & Cambodian culture and history. 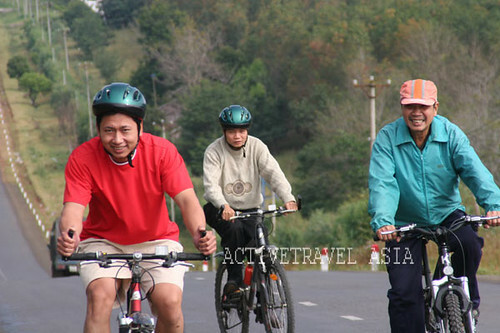 Joining biking tours, travelers will pedal through beautiful areas, interact with local passers-by. And this is best way to get to the remote and hidden corners in each country. ATA also offers promotion for motorcycling tours in both Cambodia and Vietnam. Travelers will get incredible driving and deep in the countryside and historical trails. Especially, if travelers plan to travel both Cambodia and Vietnam, the trips offer a great combination of the two exotic lands and cultures in Mekong delta and World heritage sites. Travel with family in Cambodia, the trip take travelers to ancient temples, empty beaches, mighty rivers, remote forests... Angkor Wat and Tonle Sap Lake is the highlight for the holiday. In conclusion, with the best add–on values from this Great Summer Promotion of ATA, the hesitance will be replaced by the smart decision from who are exited in traveling and getting more real experience. I like to participate in all type of activity so this article has given me very nice and useful information. I will definitely take part in this competition because I love to drive bikes very much.